Just doing a bit of catch up before the holidays totally engulf everyone, if they haven’t already. Lots of news swirling around the internet as the annual Doctor Who Christmas Special gets ready for transmission on Sunday, 25, December on BBC One. You may have read, maybe not, that Karen Gillian, who plays the current version of the Time Lord’s companion, Amy Pond, will be leaving the show in 2012. While this wasn’t totally unexpected in most circles, it’s been fun to watch the relative surprise that this news has generated as if this hasn’t happened every few years since the beginning of time…Doctor Who time, anyway. Like most other companions, Amy and the Doctor ran down a lot of corridors together, fled from monsters and saved the world several dozen times. For my money, in the current era of the Doctor, Billie Piper was still the best, but Gillian’s portrayal of Amy wasn’t too far behind. 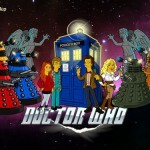 The news of a ‘heartbreaking’ storyline was leaked by none other than Steven Moffat, who should have a bit of an insight to such matters being the showrunner and all, at a screening of this year’s Christmas Day special. 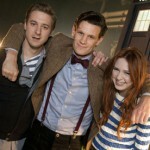 Both Amy and husband, Rory, will be written out of the series when it resumes for the “seventh” season in the Fall of 2012. Just like when David Tennant announced he was exiting the series in 2010, rumors have already circulated as to who will become the next companion. The best so far? At the top of the rumor mill are Daisy Lowe (Matt Smith’s ex-girlfriend) and Downton Abbey star, Jessica Brown-Findlay (Lady Sybil). 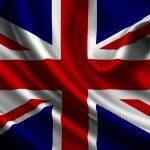 That, plus the upcoming plans for the series’ 50th anniversary should make for an interesting 2012 and beyond. Unfortunately, brilliant writer, Neil Gaiman’s dream story will never happen. Although, we did believe that Forrest Gump met JFK so anything is possible, with techn0logy…. 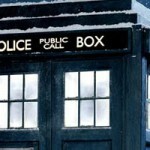 Ready for a Doctor Who Christmas 2011? Had not heard that Karen was leaving. I’ll miss her, but I look forward to the next companion(s). I love Neil Gaiman’s idea of the 11 doctors. That would be perfect for the 50th. He is such a true fan – and it’s fun to see how he “gets” it. Can’t wait for the Christmas special!